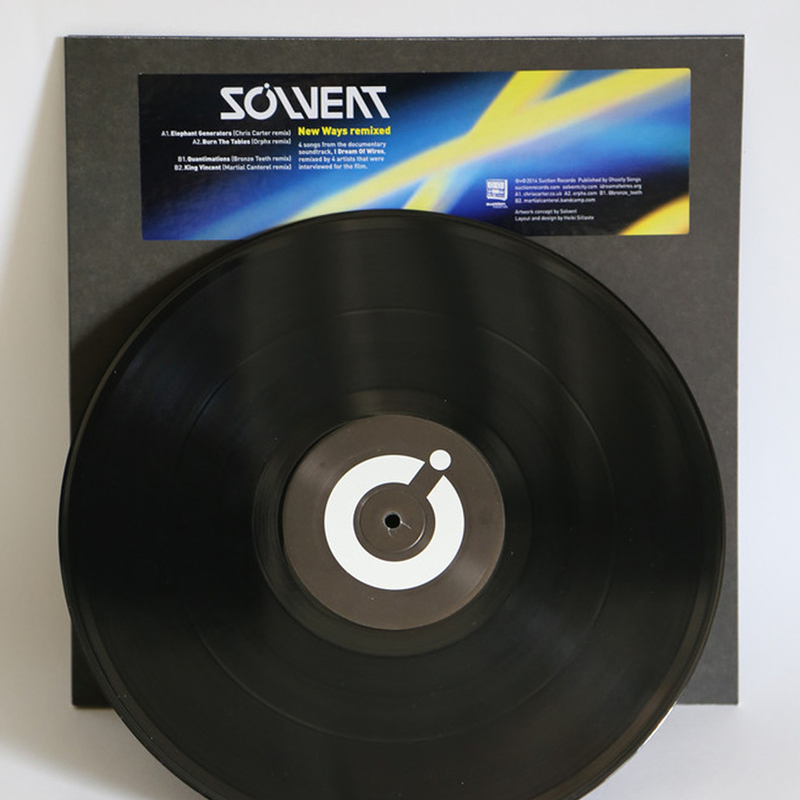 Suction Records is pleased to present "New Ways Remixed" — four songs from Solvent's soundtrack album for the acclaimed modular synthesizer documentary "I Dream Of Wires," remixed by four artists who were interviewed for the film: Chris Carter, Orphx, Bronze Teeth and Martial Canterel. Industrial music legend Chris Carter (Throbbing Gristle/Chris & Cosey) turns in a suitably industrial-strength techno monster that wouldn't sound out of place in a set by Perc or AnD. Canadian duo Orphx (Sonic Groove Records) augments their signature dark techno sound, building to an acidic crescendo, while newly minted duo Bronze Teeth (Diagonal Records, featuring ex-Factory Floor member Dominic Butler) continues the acid with biting squelches that pop from abstract clanging percussion. Although widely regarded as the Kingpin of the modern minimal synth scene, Martial Canterel (Dais Records/one half of Xeno & Oaklander) delivers an uncharacteristic slice of brooding electronica, more Artificial Intelligence than Minimal Wave.